How does a man to come to terms with the unspeakable things that happened during the years he served as a clandestine intelligence operative working under cover with soldiers and Marines in Vietnam? Author Tom Glenn returned from Vietnam an emotional wreck, after living through the fall of Saigon and escaping under fire when the North Vietnamese were already in the streets of the city. Exhibiting all the classic symptoms of Post-Traumatic Stress, Glenn’s marriage fell apart, and he questioned whether men who had demonstrated the kind of ferocity he had were even capable of love. The Baltimore Post-Examiner is proud to present an excerpt from Tom Glenn’s new book, The Trion Syndrome. 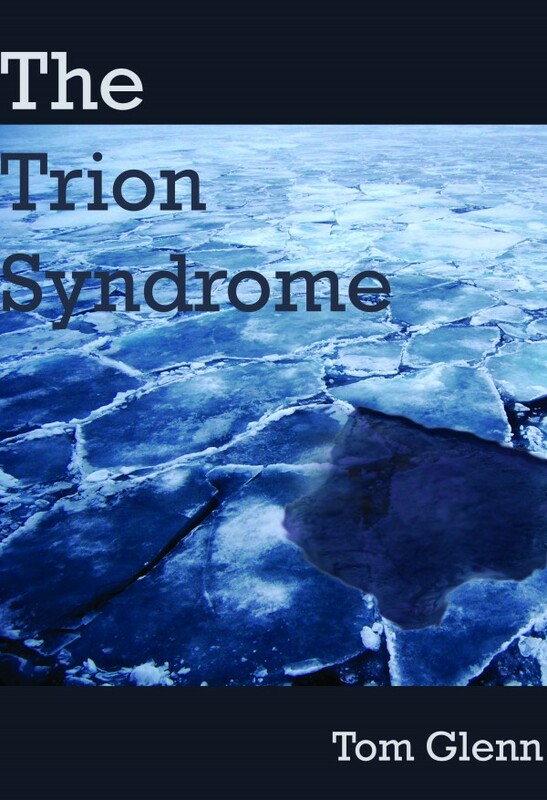 The Trion Syndrome is at once a domestic novel of marital infidelity, angsty teenagers, and job strife, and a disturbing psychological study of long-held and barely repressed trauma. Glenn will be reading from The Trion Syndrome at 2pm on Sunday, October 25, for Lit & Art at Watermark Gallery in Baltimore. 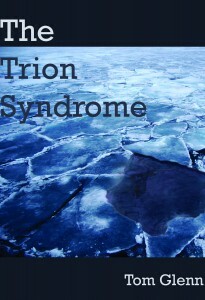 The Trion Syndrome is published by Apprentice House. Dave woke with tears in his eyes. Even before he opened them, he caught the aroma of Costa d’Oro Special Blend and the sound of a comforting hum. He sat up. Hans’ cot was already cleared of blankets. Flames showed through the stove vent. The computer and the printer were on the table. A goose-neck lamp on an extension cord had been twisted to shine on the keyboard. Dave pulled on his mukluks and made his way to the table. Leverkühn was propped open in a copy holder. The first edition lay next to it. Beside the keyboard were a notebook, a yellow legal pad, and three sharpened pencils. A partly emptied ream of paper was behind the printer. The printer’s paper feeder was already filled. Hans came from the utility closet in his bathrobe toweling his hair. “What the hell is all this?” Dave said. Dave trudged to the stove and poured himself coffee. Hans sat at the table across from the computer. Dave sat beside him. “Please not to be angry,” Hans said. “I wanted to help you get started,” Hans said. Rage like lightening. Dave swung. His fist slammed it into Hans’ belly. Hans staggered backwards, clutching his stomach, and fell against the table. His feet lost traction, and he turned halfway, then toppled. His face struck the corner of the table before he hit the floor. He lay with his face to the floor rasping for breath. Dave stood panting over him, his legs spread, his fists still doubled. His muscles loosened. He brought his feet together and straightened. Hans was breathing again. He folded his arms on the floor and rested his forehead on his wrists. Dave fought off an impulse to run. He wanted to be gone, out of this. Instead, he slumped onto his cot. His pulse thudded in his ears and temples. Burned into his memory was Hans’ face, the bulging eyes fixed on Dave’s in a mix of fear and pleading, as if to say, please don’t kill me, like those other eyes in a hooch near Long Dinh, but these were eyes he knew, eyes he had known before he ever saw them. Coward. You make me ashamed. Dave had run away from the dead child in Long Dinh. He’d tried to kill his own child to escape what he’d done and fled Inge’s anguish. He’d hid in his study rather than face Mary. Finally, when Helen died, when his job was gone, when his wife and children turned on him, he hadn’t stood his ground and fought. He’d turned tail. Coward. And he’d committed the unforgivable and most selfish of all sins, despair. Now Dave had lost everything, maybe even Hans. The Eucharides still waited on the banks of the Mackinaugh. What could he do to make that shame go away from Hans’ face? Slowly, Hans’ breathing became quiet. He wiped his nose with the back of his hand and reached under his cot and dragged out his suitcase. He stumbled to the shelves and took his jeans, underwear, socks, and tee-shirts to the suitcase and threw them in. “What are you doing?” Dave said. Hans went to the corner and lifted his two suits and three white dress shirts from the dowel and carried them to the suitcase. “I must return to Germany, resume my studies.” Hans went into the utility closet. He came out carrying his toiletries. Blood trickled from a cut above the arch in his eyebrow. Hans put his hand to his forehead and looked at his fingers. “Sit down,” Dave said. Hans turned away, but Dave took him by the arm and guided him into the chair. Dave took gauze, peroxide and band-aids from the shelf over the sink in the closet, cleaned the wound. Hans’ lips trembled, but he stayed seated. Hans smiled. “You have my forgiveness. You had it long ago. But—” The smile disappeared. “But will you promise me not to say bad things about my father?” He got to his feet, picked up his shaving gear from the table, and tossed it in. “You don’t have to leave,” Dave said. Hans scooped up the books Arianna had given him and laid them in. The suitcase clicked closed. Dave wanted to yank the suitcase out of Hans’ hands. He wanted to tackle Hans like a quarterback. Knock him out. Anything. Maybe he should plead with him. He couldn’t stand to lose Hans, too. Hans went into the utility closet and washed his hands and face. Next he’d go up to Nate’s to phone for a cab. After half an hour, he’d put on his coat and walk out the door. Dave would watch him climb the hill. He’d become smaller and smaller in the distance until he disappeared into the trees at the ridge line. What could Dave do? Hans walked behind Dave. Dave could feel his breath as he read what Dave had typed. He straightened, kissed the top of Dave’s head. Then he walked to the suitcase, knelt, opened it, and hung his suits back on the dowel in the corner.